Volunteers from the World Mission Society Church of God were out in Bakersfield for one of their clean-Up campaigns. It is the 3,560th clean-up campaign within the World Mission Society Church of God and the third clean-up in Bakersfield. Bakersfield city councilmember Andrae Gonzales who represents Ward 2, which includes Old Town Kern where the group was holding their clean-up, attended the event and kicked off the day by praising the efforts of the volunteers. "I love Old Town Kern, I think a lot of people love Old Town Kern and really care about this area and in order for us to really see a revitalization we all must play a part and these young people out here today are doing their part," said Gonzales. 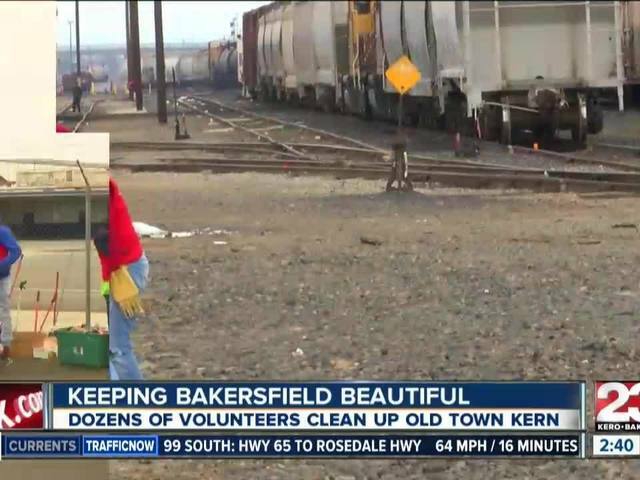 Dozens of volunteers spread out across Old Town Kern and picked up trash along the roadways and alleyways.